A great combination with lobby dustpan and brush. Dustpan in plastic with extruded handle. Lobby brush with synthetic fibres and extra long handle with snap on clip. Ideal for sweeping everyday litter, both indoors and outdoors. The extra long handles help reduce stooping and backache. Swing up pan neatly carriers away litter and rubbish. Practical and easy to use. Brush filled with synthetic fibres. Ideal for cleaning everyday litter. Q. Does the Plastic Lobby Dustpan & Combo have a self-opening lid? A. This product is not fitted with a lid. Q. Is this a contico product? A. 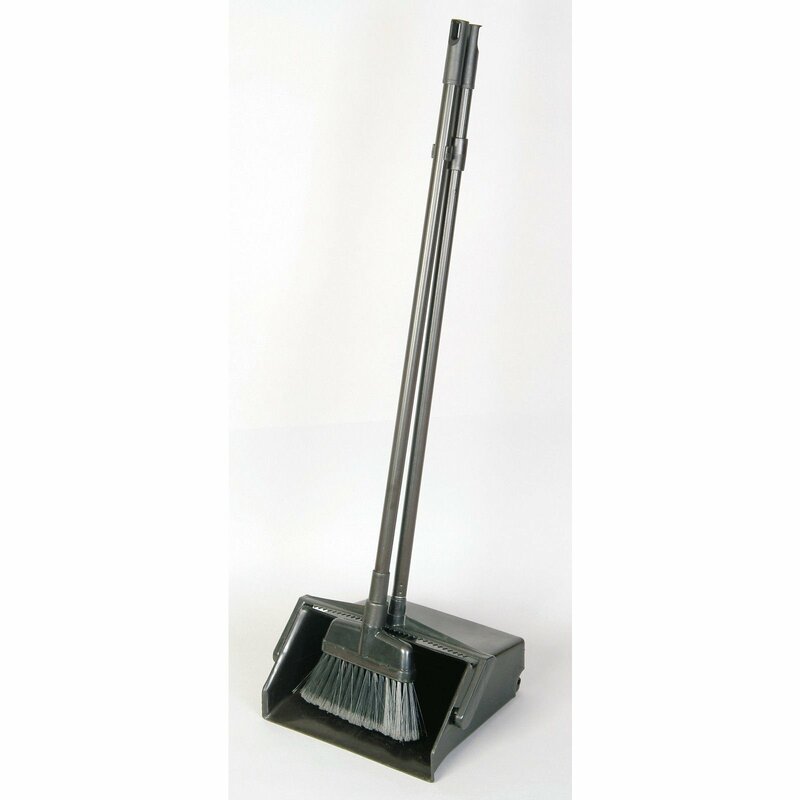 The CO912COMP Lobby Dustpan & Brush combo is manufactured by Contico.